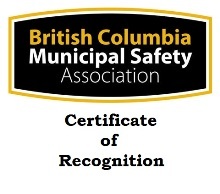 Chilliwack Society for Community Living is COR certified through the British Columbia Municipal Safety Association. Achieving and maintaining a valid COR is required for earning an annual incentive payment from WorkSafeBC. 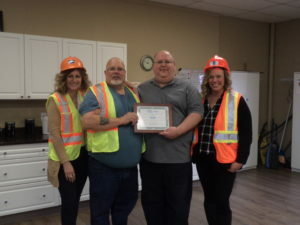 The Certificate of Recognition (COR) program rewards employers who have developed and implemented safety management systems against industry based standards. It provides an opportunity for employers and safety associations to take a proactive role in promoting health and safety. Employers can reduce injuries and accidents in the workplace, reducing worker suffering and improving the workplace safety culture. Certificates are issued by WorkSafeBC and are co-signed by the Certifying Partner. The BCMSA is the Certifying Partner for employers in the Local Government Classification Unit and is responsible for the creation of the Local Government Audit Tools, Training and Certifying External and Internal Auditors, and overall quality assurance of the program.